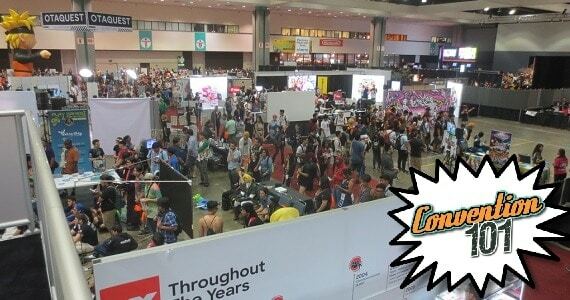 This is part 2 of our Conventions organizing series of articles. These are the attendees that are there to shop, meet a guest, view artwork, or see the cosplay. The patrons are your largest group and are the bread and butter of your convention. Without patrons, you can not have a successful convention. Patrons come from all walks of life, have different abilities, and different interests. Remember that this group also includes the vendors, artists, guests, and cosplayers, as many of them are also there to shop, people watch, and see the guests. Many of the things you need for your patrons will also go a long way towards making the vendors, artists, and guests happy. Reasonable Ticket Prices – patrons are not going to pay the same for your small one-day convention as they would for the big weekend event last month two towns over. Easy and sufficient parking – this can not be stressed enough. If patrons can’t find parking, then they will go home and vent on social media about how you wasted their day. If you expect a lot of traffic, or parking can be difficult, then invest in parking coordinators and talk to local law enforcement about your traffic expectation. Signage – Signs are important. Once people are inside, direct them to where they need to go. Clearly mark areas and have directional signs, a large map board, or even flyer maps. Make it possible for people to know where things are. Directions or indicators for bathrooms, food booths, artist alley, vendors, celebrities and guests, photos ops, and panel rooms are required. Even if it is all laid out in one room, let people know where things are. Without some form of guidance people can’t find where they are going, get frustrated, and will say how disorganized your event was. Schedule – If you have events, panels, contest,s or even guests showing up at specific times, then publish a schedule. Have one on your website and an easily accessible one at the convention. Putting schedules in front of panel doors and guest booths make things a lot easier for everyone. Always make sure the schedules are up-to-date with any changes. Anti-Harassment Policy – It is a shame that this is a requirement, but in today’s society it is. You need a clearly laid out anti-harassment policy with details of how harassment will be dealt with and where it should be reported. Make this information visible on your site and on your convention floor. Be sure to include the fact that cosplay is not consent. Are your aisles wide enough to use a wheelchair? Would people still be able to walk past a wheel chair in the aisle? Will you provide a sign language interpreter for your panels? Will you block off special seating at panels and eating areas? Will you have a ‘quiet’ room for people with anxiety and social issues? Will you provide an advocate that can address each persons disability? How will you indicate to your staff who gets disabled privilege? Assistance animals. Read your local regulations regarding assistance animals and decide how you and your staff will accommodate them. Identification – How will you identify your patrons? Will you use a hand stamp, a badge, or a wristband? Patrons love badges they can collect, but those get expensive and then you run the risk of patrons passing them back and forth among each other, and cutting down on your ticket sales. On the plus side, if the patrons are passing badges back and forth that means people want to go to your convention. Odds are also pretty good that the person having the badge passed to them is spending money elsewhere in the convention, possibly a vendor. Wristbands are easy and inexpensive, but they can be hard to see under clothing, some people have a reaction to them, they are uncomfortable, and most people just don’t like them. Wristbands also pose a problem for cosplay and cosplayers as part of the costume may cover them, or the costume may have a full body suit meaning the band is now over their clothing. Hand stamps are cheap and easy, but come off easily, can be hard to see, and some people have a reaction to them. They can also be a problem for cosplayers and costumes for the same reasons as the wristbands. All methods provide identification of paying patrons, but all methods have disadvantages, so you need to decide which approach you want to take. Security – All conventions require security in one form or another. How much hassle will your security be for the patrons? Check your venue and permit policy regarding security to determine your minimum requirements, then build up from there. Will you have a bag search? What about metal detectors? What is allowed to be brought inside the convention? Will you allow rolling suitcases? Whichever approach you take for security, ensure your people are trained and fully aware of the rules. Is outside food and beverage allowed? What are the regulations on prop weapons? What do they do if a cosplay won’t fit through the detectors? How is bag search conducted? Storage – People are packrats; we like to have things with us, but sometimes those things become inconvenient. Will you (or your venue) provide a coatroom? What about stroller parking? Will you have an area that people can pick up items they purchased at the convention? Garbage – Put Garbage cans everywhere and have someone to empty them regularly. This can not be stressed enough. 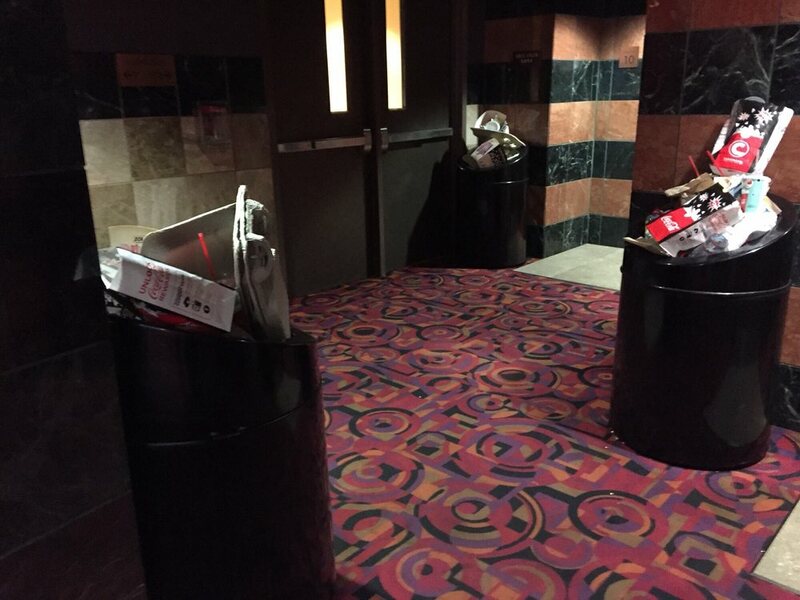 If there are not clearly visible and easily accessible garbage cans, then people will just randomly drop things and you will find garbage everywhere. If you don’t have someone regularly emptying the cans and they overflow, then you will see the same issue. Invest the money to hire someone and you will find yourself saving cleanup costs at the end. Clocks – not a necessity, but having a few visible clocks scattered around the convention, perhaps with a schedule near them, is a nice touch. It is too easy to lose track of time and find that you missed the panel. Having a few clearly visible clocks will keep people aware of the time and allow them to be where they need and want to be at the correct time. Using the announcement system to update people on the shows is not a good idea, unless it’s a last minute change. P.A.’s are loud, will override any actual conversations, and most people won’t be able to hear or understand them anyhow. If you continually announce your shows, events or panels, you are annoying your patrons and your vendors. Food – Your venue may have their own food vendors and food policies, so you may have no choice in the matter. If you have any say regarding food venues, then ensure that your patrons have choices other than greasy fast food. Unless there are a lot of restaurants nearby and other food choices, then provide options. At the very least, ensure that there is a vegetarian and healthy food choice. If it’s available, invite food trucks to your parking lot, or have them set up inside. Just ensure that if people go outside for food, that they can bring it back in. Bathrooms – Any gathering of people needs adequate bathrooms. We want clean, easy access bathrooms that provide minimal hassle. Make sure they are clearly marked. If you don’t have family or unisex bathrooms, then ensure that both Male and Female washrooms have adequate child-changing facilities. Also ensure that the handicap access stall is actually accessible; too often I have seen these stalls out of order, with no locks or entirely unfeasible for a wheelchair to get down to. A key part to keeping patrons happy is a clean bathroom, so have staff regularly clean the bathrooms and replenish the paper goods. ATMs – Available ATMS are always a good thing. Not everyone carries cash and sometimes people see things they want now that they hadn’t planned for. Some vendors offer cash discounts so they can avoid paying credit card transaction fees. You can feel pretty stupid using a credit card to pay for a $2 item, when it would be easier to just grab $20 cash. Wi-Fi – If you wish to offer Wi-Fi, your patrons will thank you! BUT if you do offer it, make sure that the signal is decent, otherwise you will hear a lot of complaints. Many venues that do have Wi-Fi restrict it to vendors only or make it a pay connection. Family – If this is a a family-friendly event, then definitely make accommodations for children. Have a small play area for the children, an area where families can sit down, unwind, and de-stress. Make sure that there are bathrooms near the children and family area which have changing tables. One convention I was at actually put two changing tables outside of the bathrooms, making it a lot easier for parents. Be sure to provide panels and events where children are welcome to participate, and please provide adequate room for stroller parking. This is just a basic overview of some of the things a convention organizer needs to consider for their patrons. Not everything applies to every convention, they all have their own unique set of circumstances. And just to reiterate our point – These are in no way the definitive be all and end all rules for a convention. They are only a guideline…a place to start.